As of 2019 root canal cost starts at $800. Final cost varies depending on how complex the tooth problem is and which tooth is affected. The average cost for a front tooth root canal is about $880, for a back small tooth (molar) is about $950, for a back tooth (molar) root canal is about $1,100. IV sedation, gas and general anesthesia available. Our license and certified dentists have pioneered performing root canal treatments with advanced laser techniques. The back teeth called molars are more difficult to treat, the fee is usually more. Generally, treatment and restoration of the natural tooth are less expensive than the alternative of having the tooth extracted. An extracted tooth must be replaced with a bridge or implant to restore chewing function and prevent adjacent teeth from shifting. These procedures tend to cost more than root canal treatment and appropriate restoration. With root canal treatment you save your natural teeth and money. 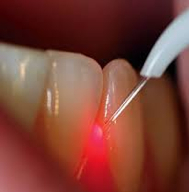 When indicated, the use of a laser with root canal treatment has no additional cost. Usually entails one visit. During the first visit, a small hole is made through the top of the tooth and into the inner chamber. Diseased tissue is removed, the inner chamber cleansed and disinfected, and the tiny canals reshaped. The cleansed chamber and canals are filled with an elastic material and medication designed to prevent infection. If necessary, the made hole is temporarily filled until a permanent seal is made with a crown. The root canal cost doesn not include the permanent crown (cap). The thought of pain is a large factor in dental stress and anxiety, which is completely understandable. However, as you allow pain to prevent you from visiting the dentist time and time again, your health could be compromised. Fortunately, sedation offers a solution to the pain. There are few payment options to consider when having a root canals procedure. We found that LendingClub online application is fast and easy with no impact to your credit score. You can instantly review the payment plan offers that you qualify for, and you will never need to visit a local branch to complete your application. Our dental office is affiliated with LendingClub for root canal treatment. LendingClub can finance 100% of root canal procedures. All LendingClub financing payment plans feature an affordable fixed rate, this means that your monthly payment does not increase. Moreover, you can prepay your loan at any time without any prepayment penalty or fee. These stimates provides a good idea of the charges to expect for the root canal alone. However, prices may be higher depending on your location. People should know what is too much to pay. Even in more expensive locations, aim to pay less than the 80th percentile, meaning less than what the top 20% most-expensive dentists charge for a root canal. The tooth would need a permanent crown afterward, and that will be an additional charge. If your dentist uses a filling, it should cost less about $350, and a porcelain permanent crown should cost about $1,200, using that same 80th percentile standard. The cost varies by dental plan, but most PPO dental Insurance plans pay about 25%-40% of the costs for root canal. With a DHMO plan you might pay about $500. The only way to know for sure is to get a Free Quote. The cost of a root canal is listed in your customized quote page. We work with most dental insurance plans to maximize your savings for root canals. We take all major PPO insurance plans such as Delta, Metlife, Cigna, Guardian, BCBS, AETNA, etc. When it comes to root canals we can submit claims to the insurance company on your behalf or provide you with a breakdown of charges to submit to your insurance company. Most dental insurance plans may cover at least a portion of the fee charged for root canals. The best way to learn more about your policy is to have Maria call and speak with your dental insurance company directly. This way we can help you determine the estimated out-of-pocket cost of the root canal and assist you with a payment plan or financing if you so wish. For all PPO and HMO dental insurance enrollees – Before you begin root canal treatment, ask your dentist to call the insurance company directly to obtain an estimated cost. This free service ensures that you know, up front, what the dental plan pays and the difference for which you will be responsible. While most dental insurance questions can be answered easily and quickly, the question whether insurance covers root canal takes may take more time to get an accurate answer. It involves removing the diseased nerve tissue, halting the spread of infection and restoring the healthy portion of the tooth. In fact, it is designed to save a problem tooth; before the procedure was developed and gained acceptance, the only alternative for treating a diseased tooth was extraction. Laser, Oral, gas and IV sedation available on all root canals.Many tooth problems involve infections that spread to the nerve called pulp, which is the inner chamber of the tooth containing blood vessels, nerves, and other tissues. When the infection becomes worse, it can begin affecting the jaw bone. An infected inner tooth brings a host of problems including pain and sensitivity as the first indications of a problem. However, inside a spreading infection can cause small pockets of pus to develop, which can lead to an abscess. Recovery is mostly successful. First, a small access hole is made into the tooth and the infection is removed. Medication is placed into the infected canal(s) to treat the bacterial infection and help possibly to restore the bone loss from the bacteria eating away the bone. Then, the dentist filled the access hole with a temporary filling. If things keep going well in the next few weeks following the procedure, all is needed is a permanent crown to save the tooth. The recovery time is about one to two days taking 600 mg ibuprofen every 6-8 hours and antibiotic for 5-7 days or as suggested by your dentist The recovery related to a root canal goes well once the procedure is completed and the infection is removed. When the root canal has been finished patients shall wait until the numbness in their mouth wears off before eating to avoid biting their cheek and tongue. It is not adviced to chew and bite down on the treated tooth until it is fully restored by a dentist to avoid damaging it. Brush and floss the root canal treated tooth daily is important to keep the area clean and avoid re-infection. Once your root canal is completed, the tooth would be ready for a permanet crown. It’s important to make this appointment as soon the root canal is finish. A properly treated and restored tooth can last as long as your natural teeth. Root canal treatment is necessary when the nerve, the soft tissue inside the root canal, becomes inflamed or infected. The inflammation or infection can have a variety of causes: deep cavity repeated dental procedures on the tooth or a crack or chip in the tooth. In addition, an injury to a tooth may cause nerve damage even if the tooth has no visible chips or cracks. If nerve inflammation or infection is left untreated, it can cause pain or lead to an abscess. 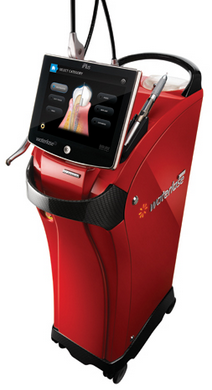 What sets the Endolase™ root canal laser apart is its unique design. Laser energy radiates from what's called EndoTips™, fine tips about 3 times wider than human hair, which allow for high precision while cleaning, shaping and disinfecting the root canals. Here's how laser root canal works: The EndoTips gives out laser energy in a radial pattern to clear away the infection layer, reaching deep into the root canal to kill the bacteria. Unlike conventional methods, it is minimally invasive. It protects and preserves tooth structure. And because of its remarkable laser capabilities, laser root canals can flush away bacteria in just few minutes per canal (traditional methods take about 30 minutes). The majority of the time recovery is pleasant. You'll feel great again, and nothing beats that! Laser Assisted Root Canal. We are a certified laser root canal provider in Fort Lauderdale. The laser-assisted root canal treatment combines classic instrumentation of the canal system with the anti-microbial and bio-stimulatory effects of the laser. The Biolase Waterlase Dental Laser utilizes hydrokinetic energy for the elimination of organic debris and bacteria that lie within the confines of the root canal system. This combination of heat, light, and energized water produces atomized water particles that remove the smear layer and penetrate deep into the wall of the canals. Studies have shown that the Biolase Waterlase Dental Laser penetrates ten times deeper into the wall of the canals than does the more conventional cleansing. 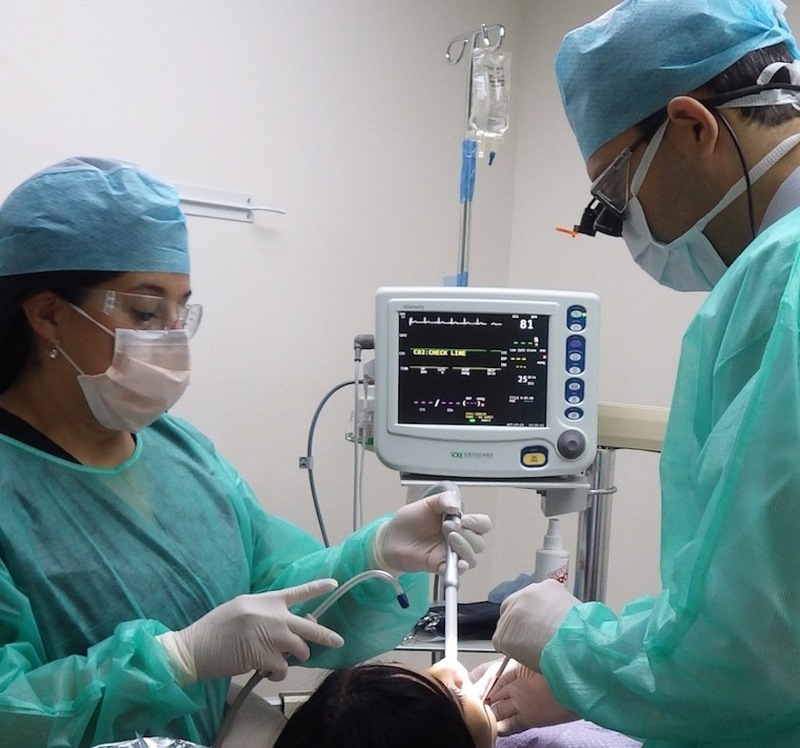 Thus, the use of the laser for root canals allows us to thoroughly cleanse the root canal and make it less antigenic and biocompatible in certain instances. A recent study published in the journal of the American Dental Association in August 2014 found that: laser (Er: YAG) activation of five percent NAOCl and seventeen percent was more effective than conventional irrigation and preventing new bacterial growth ex vivo. The thought of a root canal treatment make people fearful if they are not familiar with the procedure. There are few common misconceptions tha root canals, cause pain and illness and should be avoided at all costs. The exact opposite is true. The pain, inconvenience and cost of avoiding saving a tooth in favor with tooth removal or a wait-and-see approach can be easily avoided. In general, the longer people postpone treatment the more they risk the chance to save your tooth. Take the time to read the information on our website to find out how root canal do to save teeth with minimal time and discomfort. With modern technology and sedation people shall not experience any more pain than if they went to have a cavity filled. The pain from a severe toothache, often caused by damaged tissues in the tooth, can be easily fix when a dentist removes the damaged tissue through root canal treatment. In addition, most root canals can be treated quickly and comfortably under sedation. Saving your natural teeth, if all possible, is the best option. Nothing artificial can replace 100% the look or function of a natural tooth. Nowdays, root canal treatment has a high success rate and many root canal-treated teeth last several years. There are possible, but uncommon, causes of pain after root canal is done. It is possible that during the tooth canal cleaning process medication has gone slighly beyond the root end causing some degree of irritation. This irritate the tissue which may take a bit of time to heal. It is also possible that a flowable material called a sealer, which is used to seal off the inside of tooth has reached out of the end of the tooth. This can aggravate the tissue there also causing tenderness for up to about two weeks. Another cause of pain after a root canal is if the tooth was diagnosed with a bacterial infection and pus pocket. This causes tooth to take longer to heal and come sore. Perhaps a perfect root canal was performed. The infected tooth is cleaned out, sealed properly and built up with a flawless filling or crown. However, if bacteria still mingle in the jaw bone around the root, it could remain inflamed and painful. Fortunately, with the source of infection removed (the dead tooth nerve), bacteria have nowhere to hide. The immune system should be able to wipe out the infection in time. To speed up the process, the Dentist can prescribed a course of antibiotics. Teeth have several canals and some of them are difficult to detect, especially in back molars. It’s possible to overlook an infected canal, leaving a bit of nerve inside the tooth or a small pocket for bacteria to form an infection. If a nerve is left behind, the tooth may remain sensitive to hot and cold as it was before the procedure. If bacteria are causing an infection, the tooth will be sensitive to pressure. Sometimes, the spaces left for bacteria to reside in are microscopic and found in the very tip of the tooth root. Neither problem will settle down on its own. There is another uncommon cause of pain after a root canal. This is where the jaw nerve that leads to the tooth is sensitive and it acts like it is still attached to the tooth nerve even though the nerve has been removed during the root canal. The nerve will feel and act like the tooth is still sick even when it is not. This is frustrating to the dentist and patient alike. Fortunately this is rare occurrence. Root canal dentist serving the city of Plantation, Fort Lauderdale, Davie, Sunrise, Weston, Cooper City, Deerfield Beach, Pompano Beach, Miami and Boca Raton.